Pavement designers consider traffic loads and climate conditions to be the most important variables governing the long term performance of asphalt pavement. However, research conducted at Carleton University found that construction methods can also affect the long term performance by creating surface hairline cracks that allow water to penetrate the asphalt layer, which destroys bonds in the asphalt and between pavement layers. 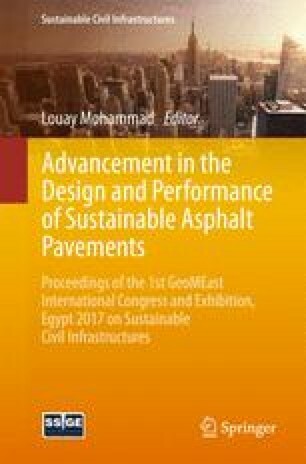 This paper presents the results and major findings of an experimental investigation performed on large scale asphalt slabs extracted from newly laid pavement. For the first time, our research included evaluating the bonds between asphalt layers built in the field. The laboratory study included testing the slabs under direct tensile stress, and subjecting them to temperatures ranging from room temperature to −20 °C. The testing included a total of 100 asphalt samples 300 mm long and 100 mm wide, with a thickness of 50 mm for single layer and 100 mm for double layers. The results showed that construction induced cracks affect the tensile strength of new asphalt roads, and can weaken the bond between the upper and lower layers when overlays are constructed. These issues impact maintenance and rehabilitation investment, and waste the new overlay. The authors would like to acknowledge NSERC, Carleton University for their financial support, and from RW Tomlinson Limited for providing the asphalt specimens. The authors would also like to thank Stanley Conley, and Jason Arnott for their assistance in operating the environmental chamber and assistance during the testing.